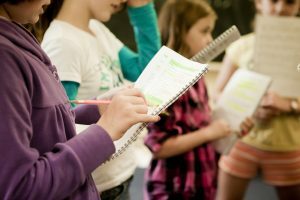 Wild Voices Music Theatre studio practice provides holistic training informed by a lifelong commitment to learning and self-development. We draw on repertoire from all genres - classical and contemporary - and from as many cultures as possible. We recognise Australia as a multilingual country, embracing the languages of all those we come into contact with and aiming to utilise multiple languages in our work. 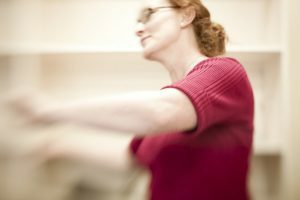 A healthy body, excellent posture and good movement awareness are essential for healthy, efficient and powerful artistry as an actor, singer, pianist, conductor, teacher - and will support good communication and leadership skills in all workplaces. A high level of literacy in music and language (vocal and physical) are essential components of artistic perception. Development of literacy skills is a major focus of our work with all students from lesson one onwards. embrace science and art equally. We work across disciplines and collaborate with a range of professionals to ensure students needs are met by those with the most appropriate skills. WVMT has moved into The Oak, 11 Rosevear Place, Dickson, ACT. These studios, the creation of Kim Harvey and Roland Hector, are absolutely state-of-the-art. Kim Harvey School of Dance has been operating in the upper level for three years, and now the ground floor fitout is complete. Dianna will have exclusive use of the purpose built voice/piano Studio 7 for private teaching, and will also utilise the large Studio 8 (where Mrs Black-Shiny, the baby grand, now resides) for WVMT activities.